WPJobBoard has pretty powerful Custom Fields system, but sometimes you might want to display data in the frontend (on job/resumes/company details page) differently then on the form, for example you might want the custom url user enters in the form to display as clickable link or maybe as a YouTube video, this article will explain how to do this easily without modifying original files. This will require some programming, all the code that will be shown below you can either add to your theme functions.php file or even better create a new WordPress plugin and put the code there. Now save the form and go to wp-admin / Job Board / Jobs panel, edit one of existing jobs, fill the “Custom URL” field and save the job. This is technically optional step but we want to have some data to test on. Of course if you already have a custom field created you can skip this step. 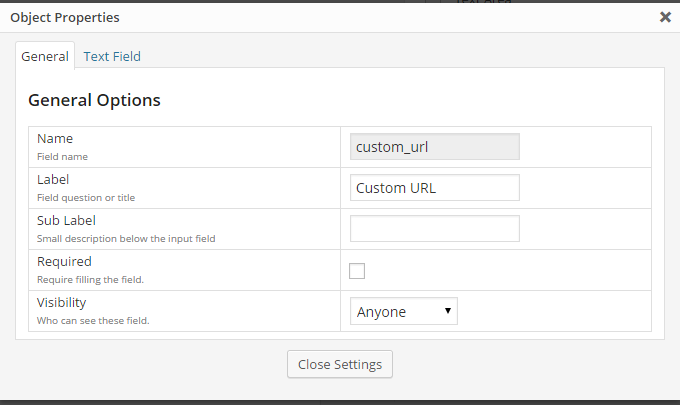 First, we need to create wpjb_scheme filter that will add custom rendering function for “custom_url” field, this requires pretty basic PHP code and almost always the code will be the same for your custom fields, in the code snippet you will be only changing “custom_url” to your custom field actual name. Next we need “my_render_as_link” function that will be used to render custom_url on job details page instead of default rendering function. That’s it. The code basically executes video shortcode, so you can add some parameters to the function if you want to customize how the video will be played, also note that if you are going to play videos not uploaded to your site there is (for security reasons) curated list of sites from which you can embed content, see more here. its Work ! (Under Resumes -youtube Video Interviews).Thank you so much Greg.And you are such a genius. In which file I need to add the above code? The code you can add in either your theme functions.php file or even better create a new plugin and paste the code there. is it possible to change the apply button on the job page to just a link rather than a form? this link needs to point to an external site for some cases. You can do that either using Application Methods (https://wpjobboard.net/kb/application-methods/) or Application URL (https://wpjobboard.net/kb/application-url/) extensions. In the custom fields editor you would also need to make this field visible in Forms Only, and of course in the code change the custom_field_name to actual custom field name you are using.